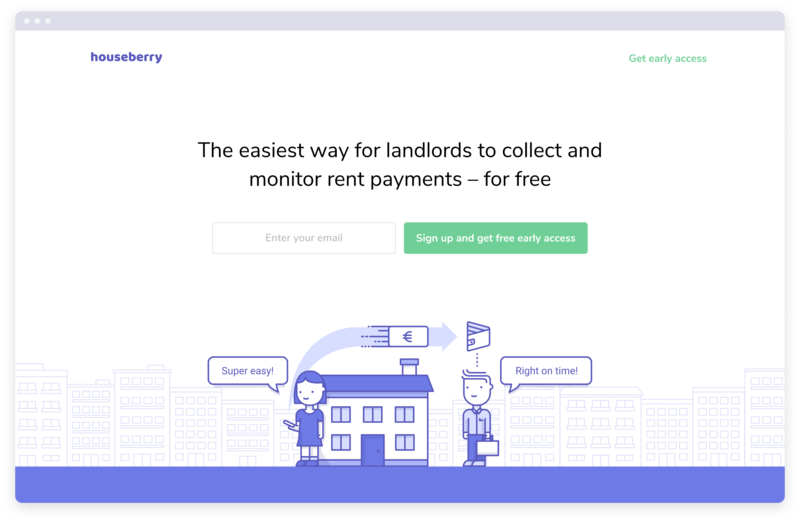 Houseberry premise: simplify rent payments between tenant and landlord. Tenants could easily pay rent with one-click. Property deposits would be kept in a safe and secure place, and both users could track and monitor payments in real time. Tenants always think they'll never get their deposits back. I thought it could be an interesting idea to explore. When I joined there was already a stage environment with an initial version of the product but nothing was launched yet. Very often founders rush to product development thinking "this is a great idea, I know people have these pains" and don't test the main assumptions behind the product idea. How can we learn before we ship? What needs to be true for this idea to be successful? How can we test our assumptions? I got inspired by Teresa Torres's work and put a doc together which outlined the underline assumptions that needed to be true for this idea to work. It was my the first time doing something similar. I learned a lot just by reframing the underneath assumptions behind our product. The team understood the questioning but the shipping continued at the same pace. At least we had a parallel plan going on. I worked closely with the two founders to understand what technical constrains existed and the requirements of Portugal and France laws for tenants and landlords. 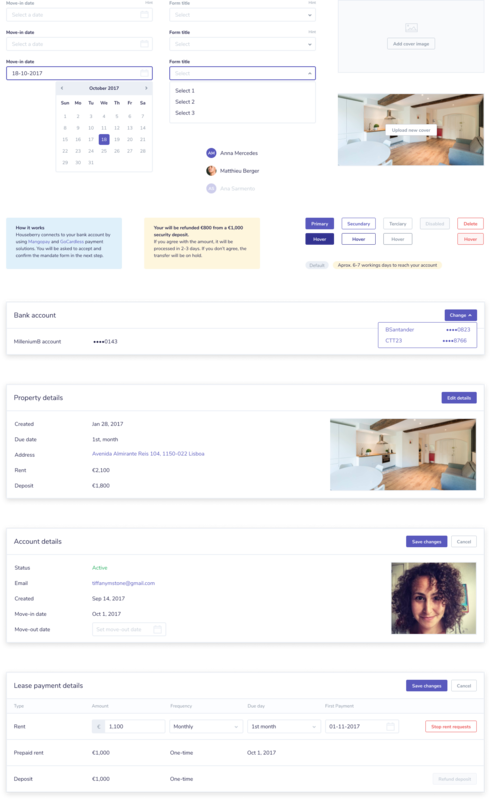 I also interviewed some landlords when doing research and I designed and documented all the user interface experience considering different use cases. I think one of the biggest limitations while at Houseberry was understanding that the research was pointing to a very obvious answer: landlords didn’t see value on our proposition. Even considering all efforts and will, the value proposition was at best, very niche. The first task asked was to redesign the website. But with an entire product incomplete and not documented, redesigning the website was the lowest priority. The full stack developer was remote and worked with Linux OS, so I decided to use Figma (a browser based design tool) to improve collaboration with the team. Back in 2017, Figma's developer handoff features were still very basic compared to the current state, but this choice was critical to improve our process and work faster. One of the files handed to me. Pretty empty. Initially, I went over the current flow in staging and took notes on what was working, missing and what could be improved. I was limited by current patterns and aesthetics, but that was fine for now. I also worked with the team to define all the payment status that were missing. I documented a lot of specific flows. 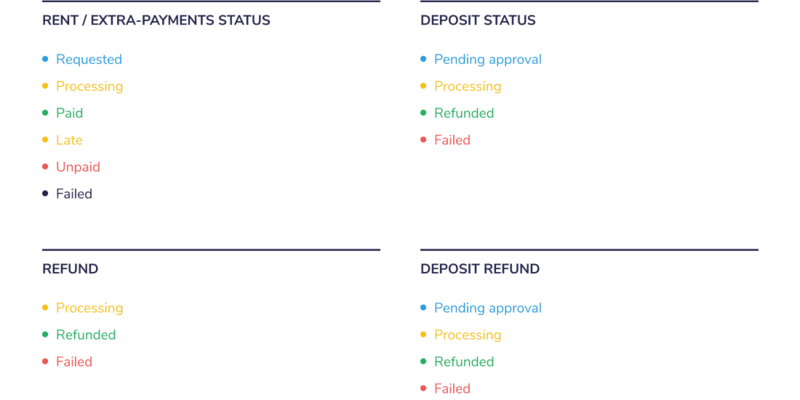 The rent payments tend to look very simple at first but as soon as we uncover all the use cases, complexity starts to arise. Bellow I show some of the product flows (including emails flows) that lead to different tenant and payments status. 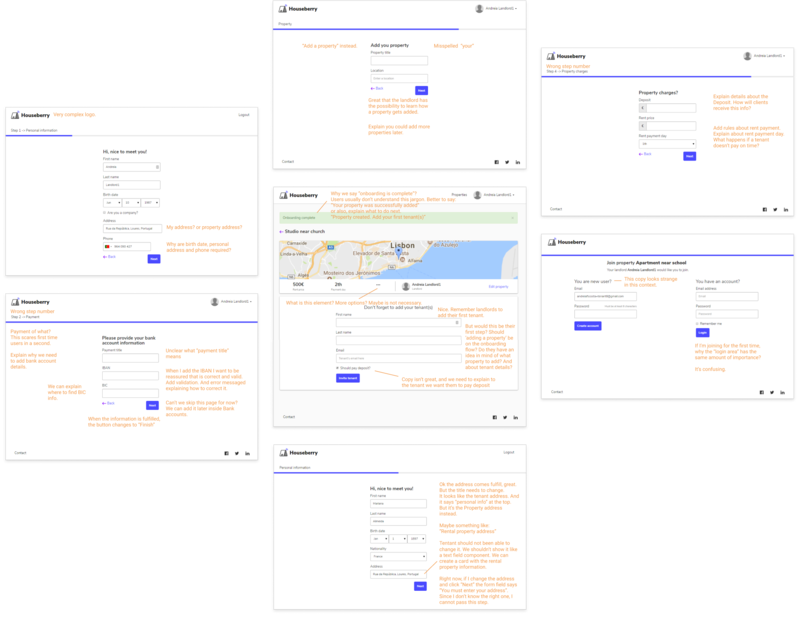 My next step was to validate the user experience by designing the entire platform using wireframes. 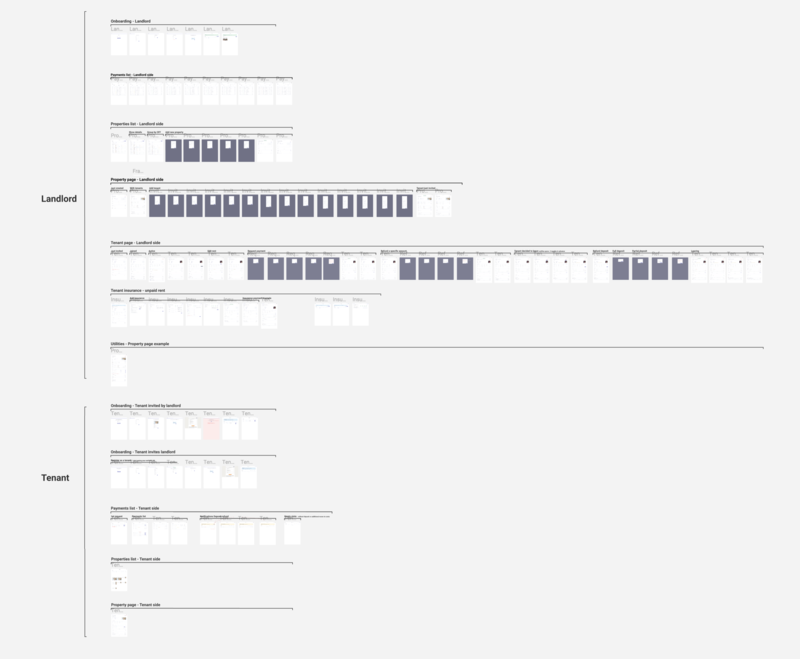 Then I worked on the visuals and user experience for each product flow, tenant and landlord side. Most of these flows and use cases didn't exist before. The product became much more complex very fast. And since Portuguese and French laws consider different scenarios, we decided to design only for France use cases. 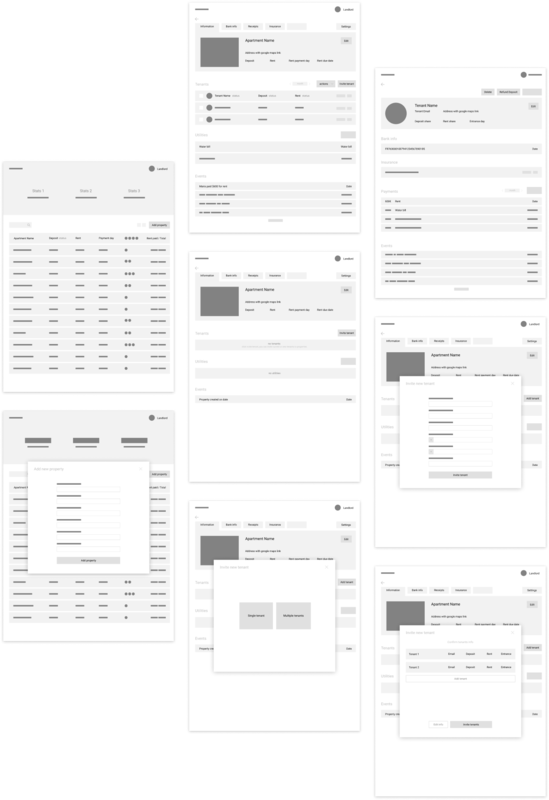 Figma file with the final UI screens for each flow. I decided to work with the existing patterns and made small adjustments in colour and illustration elements (I inherited the illustrations). 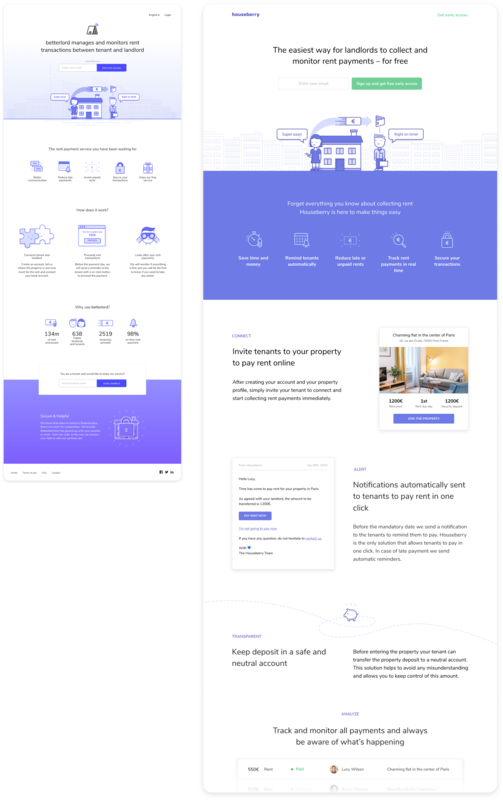 We used the existing beta landing page (left) as the starting point for the redesign. We focused on the value proposition and how Houseberry worked (right). 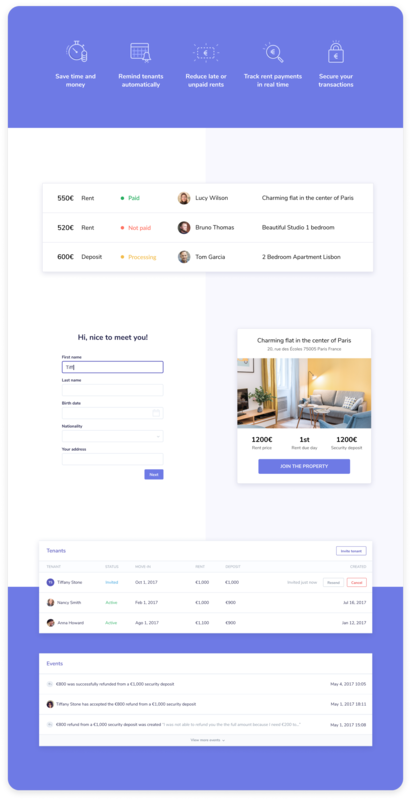 I put together a plan to interview landlords and do some user testing on our product. I used Michael Margolis’s work, UX Research Partner at Google Ventures, as a starting point for my interview script. I'll share the guide I used here. Start with some general questions to know the person. I wanted to understand the reasons why they decided to become a landlord. How many apartments they managed. How they described their routines and what gave them anxiety. "Have you tried to convince a tenant to change his payment method in the past? Why? Tell me how it went." After this, I wanted to understand what solutions they used. I wanted to know what they valued on a solution. Next, after they told me some of their struggles I wanted to know how they pictured themselves compared when they started. How they imagined their lives better if they didn't have to deal with all the problems that stressed them. I wanted them to look at what we built and to commented aloud while they were doing the tasks. I wanted their overall opinion on what they have seen from our product. What they liked. What they didn't like. How they thought it could be improved. How they described the solution to a close friend and in under what circumstances would they see themselves using the product. Most landlords were concerned with the way we handled security deposits, especially when taking part of the money to pay for a contractor. They also asked a lot of questions about our pricing strategy and about our terms and privacy conditions. Our solution didn't have enough value for landlords with 3 or 4 properties. Rent payments weren't a real pain for them and changing their payments process was a giant hassle. They didn't totally get it and didn't need it enough. Also, our pricing strategy wasn't a viable idea on the long run and turned out to be one of our biggest problems. Houseberry decided to focus on a different idea after a while.